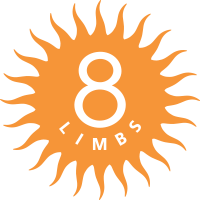 8 Limbs is partnering with City Arts Magazine to profile local artists who practice yoga at 8 Limbs. For the November issue, we profile opera singer Sarah Fletcher. A Seattle resident, Full Lyric Soprano Sarah Fletcher is quickly gaining stature as a prominent singer in the Northwest region. With an education from the University of Puget Sound, Sarah has also studied and performed in Europe with the American Institute of Musical Studies in Graz, Austria. Described by Crosscut magazine as “… a far darker soprano, like steamy coffee stirred with a dollop of cream”, Sarah has been featured in roles and staged scenes such as ‘Countess’ in Marriage of Figaro, ‘Mimi’ in La Boheme, and ‘Liu’ in Turandot. In addition, she has been a featured soloist in concert halls and cathedrals throughout the U.S., performing solos in works such as Mendelssohn’s Elijah, Handel’s Messiah, and Rutter’s Requiem. Under currant tutelage of Sheri Greenawald, Ms. Fletcher is looking forward to singing as a featured soloist at the Grand Opening of Seattle’s ‘Museum of History and Industry’ December 29th and 30th, 4 and 7pm. Click here for tickets. A certified yoga instructor through 8 Limbs Yoga Centers of Seattle, Sarah also enjoys working with singers individually and in workshops, both locally with Seattle Opera singers, and nationally with music schools and opera companies. Learn more about Sarah at Sarahfletchersoprano.com. What brought you to yoga? – I originally came to yoga to heal from a back injury, but quickly learned that yoga offered so much more than a physical practice. It allowed me a great sense of calm and balance, as well as a multi-dimensional embodied intuition that continues to grow as my dedication deepens. How long have you practiced yoga? – I’ve been practicing purposefully for over 7 years. How does yoga support your art? – Yoga has taken my musical artistry to another level, as my practice has revealed an incredible support and source of energy, as well as spiritual embodiment through resonance and meditation. It’s taught me how to utilize breath, strength, balance, and presence of mind to be the most powerful, dynamic singer I can be! Why practice at 8 Limbs? – 8 Limbs Yoga Centers has been like a family to me! I have made so many valuable connections with teachers there who have influenced my life’s journey. I especially felt their support when I decided to enroll in their teacher training as a way to fully immerse myself in the vibrancy and finesse that yoga brings to life. It has been wonderful to share the gift of yoga with such beautiful, dedicated gurus! What is one of the most important thing you’ve learned through your practice? – We are all beautiful, timeless beings of boundless energetic proportions. Everything you need to realize your life is already within you! Yoga is a beautiful gift that helps us to realize this truth.